Georgian agriculture ministry launches computer game "Winemaker"
31.05.21012 (Hvino News) "Megvine" (meaning winemaker in Georgian language) is the name of a new computer game, developed by... Ministry of Agriculture of Georgia. Conceived to serve as an innovative promotional tool, the game - actually a Facebook application - was presented at the Art Museum in Tbilisi on May 21. Zaza Gorozia, Minister of Agriculture, attended the event. According to the statement issued by the ministry, "the goal of the Winemaker Game is to promote wine-making and unique vine varieties of Georgia. The new game allows to buy land, plant a virtual vineyard, reap a harvest and make wine. Winemaker Game allows to trade wine at local market or to export abroad". The players can also invite business partners to join in. According to developers, "Megvine" is a competition: during three months, the players will have to go through three stages, and winner of each stage will be awarded with a special prize. The game can be found at this this link, but unfortunately it seems to be for Georgian-speakers only. That's a pity, because the interface looks attractive and well-designed. Obviously, a lot of resources and time have been invested into project, while cost of translation usually is just a small fraction of programming and design costs. Adding several language options would have greatly broadened the game's reach. It's meant for promotion, after all, not for limitation... That's what the minister said! 30.05.2012. At our various wine tastings around the country we have been saying for a while that some of the most interesting developments in the wine world over the next few years are going to come from Georgia. Last week we visited the Real Wine Fair and RAW wine fair in London, and saw evidence that this these predictions are proving correct. For those less familiar with the history of Georgian wine making, a quick recap may be helpful. Georgia is often referred to as the “Cradle of Wine,” since it was in this region that wine making is believed to have been first developed. Archaeological evidence shows that as early as 5000 BC, way back in Neolithic times, people in this region were fermenting wine in clay containers (now known in Georgia as Quevri or Kvevri). Not only this – they were preserving it with pine resin, selectively breeding grapes for better wine production, and distinguishing between different grape varieties within their wines. 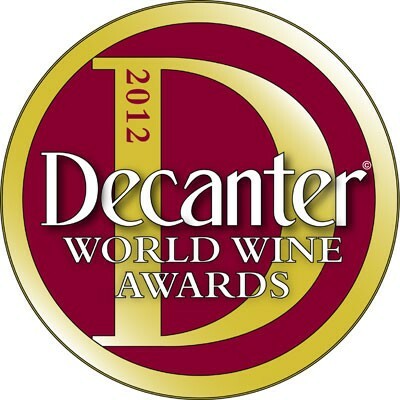 Decanter Awards corrected - in favor of 4 Georgian wines! 30.05.2012 (Hvino News) On 22 May we published the results of 2012 Decanter World Wine Awards (DWWA) from the London International Wine Fair. It seems, however, that several Georgian wines were listed incorrectly as winners of "Commended" award. In fact, they are winners of Bronze Medal! Congratulations! Our article Decanter World Wine Awards for 28 Georgian wines has been also corrected - new text is marked in red. We believe that the reason of confusion was Decanter website, but we don't blame anybody - it happens with computers... even on space ships! We wish to sincerely thank George from Tbilvino, who kindly pointed our attention to the issue. 28.05.2012. Georgia is the place where monks and some winemakers alike still bury wine-to-be under the ground in ancient vessels called ‘qvevri’. These pitchers resemble amphora with their shape and material from which they are made of – the clay. Everything goes inside the quevri – grapes with skins, stalks, grape stone. Grapes ferment on its natural yeast and later mature into full-bodied wine in qvevri hermetically closed and buried under the ground. This aging process takes usually about 5-6 months leading to full-bodied and highly tannic wines (long contact with skins and stalks releases more tannins into wine). Such description might sound a bit detracting, yet these wines are velvety, intense and if made by conscious producers also surprisingly very well-balanced. Experience often bears success. That is particularly true about Georgian monks making wines for over 10 centuries at Alaverdi monastery in Kakheti, eastern dry region on the foothills of Caucasus mountain range. Since the year 1011 (what a number!) they have been making wines for royalty including Russian tsars. They are proud of their heritage and believe that winemaking once begun here in Georgia. Numerous archeological findings seem to support Georgia’s claim of pioneering wine production thousands years ago. Whether Georgia or precisely the geographical location the country occupies today was the first remains a mystery, nevertheless the tradition of making wine reaches as far as our knowledge of documented history, so its people must know how to do it. That is perhaps why, even though still using pre-classical methods, the wines are mostly balanced and very interesting. It is their unique taste that enchanted me – I do not know any white or red wine tasting at least closely to the wines I tried so far. 27.05.2012 (Hvino News) Exporting Georgian wine in the world market is a matter of national security and an important element of country's progress, said President of Georgia Mikheil Saakashvili today at a meeting with business leaders in Tbilisi. "It is very important that Georgian wine was presented in New York, LosAngeles, Europe. Perhaps for the Chinese wine is not of primary importance, but in Europe it is a passport of European identity and Christian culture... When Russia imposed its embargo on import of Georgian wine, several U.S. senators called it "the wine of freedom", - said Mikheil Saakashvili. President of Georgia is known for his interest towards wine-making. In 2011 president Mikheil Saakashvili bought a vineyard in Kakheti region, Eastern Georgia. The vineyard ​(half hectare area) costed about 20,000 USD. Construction of a private house next to vineyard costed about 28,000 USD. The president often uses his vineyard house to host foreign visitors. See also: President of Georgia proposes Tbilisi airport to open its own vineyard. World's leading wine business resource Drinks International quoted this article on May 28, see here. Happy Independence Day to all Georgia's citizens and friends! Today Hvino News starts our own mini Wine Exchange for wine professionals. This service is completely free and very easy to use. 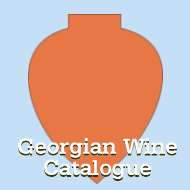 If you are a wine merchant, retailer, importer, restaurant-owner etc, and you want to stock Georgian wine, simply post your free announcement in the thread I need Georgian wine! (here), indicating the desired type and quantity. Companies who are offering wine (wineries, distributors) are encouraged to answer the posts. No need to register at the forum: you may sign in from your existing account in Facebook, Twitter, Google and others. Accordingly, if you are a wine-producer or distributor, you may place your post under I offer Georgian wine! (here), so potential buyers would be able to contact you. You can find this new service under our site's Forum section here. An important note for partners interested in Russian market: it is possible to post your information in Russian language. Russia's companies are also welcome to publish in Russian. So, no language barriers! After all, that's why our site has Google translator in the most prominent place. 26.05.2012 (Hvino News) Industrial Parade "Made in Georgia" started today at 11:00 in Rustaveli Avenue in central Tbilisi. This is one of central festivities of Georgia's Independence Day, celebrated on May 26th. About 250 companies participate in the "Made in Georgia" parade, including the leading wine producers. The parade's "Drinks corner" is situated in front of Rustaveli Theater. The program includes music and dance performances and a barman-show. Wine is considered one of signature export products of Georgia. After the parade, a classical concert and fireworks are planned. Industrial parade "Made in Georgia" is being held for the first time this year, and is supposed to become an annual event. Hvino News sends sincere Independence Day greetings to Georgian readers! I was in Tbilisi to explore Georgia's legendary cuisine, but despite its reputation, could not believe the strangeness and deliciousness of the dishes coming at me. Strips of delicately poached chicken submerged in a thin but rich sauce of ground walnuts, infused with garlic trout from a nearby river, pan-fried crisp and enrobed in a ruby-red pomegranate coulis. And the bread! One kind was baked into a pie stuffed to the gills with rich, melty curd cheese and served sliced, like a fat double-crust pizza, while another came shaped like a gondola, with the cheese pooled in the middle to mix with butter and a runny egg poaching as it came to table. Before these came many cold starters. Slices of aubergine and courgette wrapped around garlicky walnut paste, pounded fresh spinach sprinkled with pomegranate seeds, a purée of red beans enriched with unfamiliar spices including marigold, and yet more walnuts. And all this followed by a standout dish of succulent cubes of lamb shoulder baked with sour plums and more fresh tarragon than you would believe. One of the distinctive aspects of the London International Wine Fair, among major wine events in the world, is that it takes place in a country that is a great importer of wines, rather than a major producer like France or Italy, where Vinexpo and Vinitaly take place. For producers from all over the world, it is an opportunity to enter an open market, one where 1.77 billion bottles are imported every year (and only 4 million bottles produced). That certainly explains why you’ll find big national stands from lesser-known wine-producing countries like Russia, Georgia, Romania, Turkey, Lebanon, Uruguay, Slovenia, Croatia and more, alongside the big players like France, Italy, Spain, Australia and the United States. Getting the opportunity to taste wines from those various countries is certainly an opportunity to discover a lot of new things like indigenous varieties you’ve probably never heard of before or unexpected wine styles (like solid bubblies from Georgian and Russian vineyards near the Black Sea). 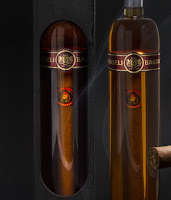 24.05.2012 (Hvino News) "Adjarian Tobacco" has released "cigar in brandy". 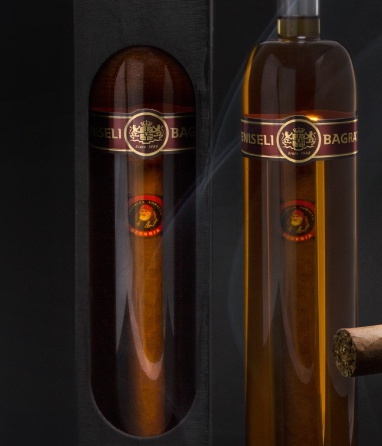 This product actually is a 50cl capsule filled with brandy containing an immersed cigar. According to Beso Shalutashvili - company's CEO - this product will be available in Georgia for 150 GEL (~EUR 75) as well as internationally. Adjarian Tobacco will take part in the industrial parade "Made in Georgia", to be held on Independence Day May 26 in Tbilisi. The idea of dipping the end of a cigar in brandy or in port is sometimes credited with Winston Churchill. The ambassador highlighted the fact that over the past 20 years of bilateral relations between Georgia and China, the two states have become closer to one another. “The political relations between us are developing, the bilateral trade is fruitful, and the cultural exchanges are becoming more and more active,” he said. Speaking about the positive trend, Mr. Chen Jianfu mentioned that last year's Georgian-Chinese turnover was $800 million, which is a 200 times' growth compared to 1992, when the two countries established diplomatic relations. 22.05.2012. It’s been an exhausting and exhilarating two weeks in London so far, and I’m getting properly beat. Today the second of the two natural wine fairs ended, effectively concluding three days of intense tasting and wonderful networking. Well, it’s not quite over yet. I just got invited to join the organizers and some winemakers from The Real Wine Fair for dinner at Soif, which I’ve been looking to try since I love their “mothership” Terroir. 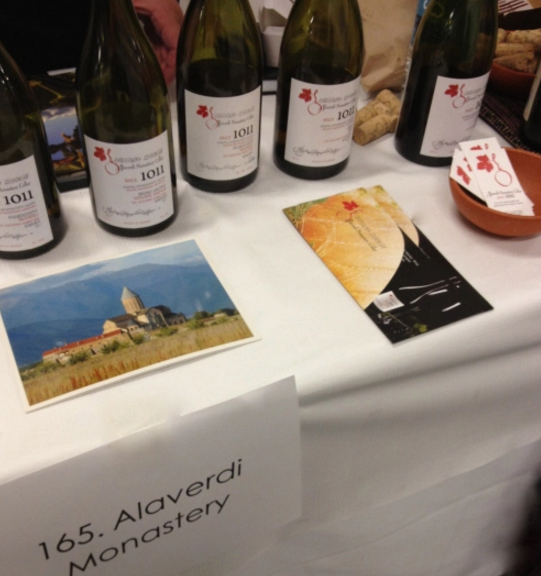 So, for a quick initial report on the fairs RAW and Real Wine Fair… It’s been great and positively overwhelming. Between the two of them there were almost 200 natural/organic/biodynamic winemakers from all over the globe. Mainly France, Italy, Spain but with a healthy dose of Georgian and Croatian as well as a Kiwi or two mixed in for good measure. 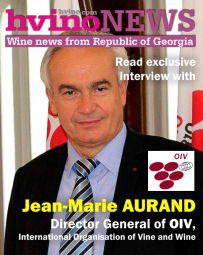 22.05.2012 (Hvino News) A Georgian wine tasting event will be organized for the visitors of IMEX tourism exhibition in Frankfurt (attention our readers in Germany!) tomorrow, on May 23rd. The Georgian delegation of IMEX, leading worldwide exhibition for meetings and incentive travel, will be organizing a "happy hour" where guests can taste Georgian traditional meals and finest Georgian wines, including wine made in traditional qvevri (clay pots), at the Georgia Stand G310 at 16:00. Georgia is participating in IMEX 2012 for the first time, as a favorable destination for MICE tourism. Georgia is showcasing its natural beauty, long-standing history, traditional culture and ancient architecture. As one of the oldest wine producing regions in the world, wine is an important constituent of Georgia’s history, culture and society. Georgia’s participation in IMEX 2012 aims to present to business travelers the exciting opportunities in this small country in the east of Europe: superb hotels at a relatively low cost, numerous destination management companies offering planning assistance, the availability of abundant incentive activities like adventure tourism and cultural tours offering site visits to historic monasteries and wine tastings of over 250 grape varieties available in Georgia. 22.05.2012 (Hvino News) Georgian wines were presented at the RAW – the artisan wine fair in London on May 20 - 21. Featuring around 150 growers, RAW wine section is one of the most exciting collections of fine, organic and biodynamic wine artisans. According to RAW's release "their wines are pure, kind to the planet and very possibly better for your health". The Georgian winemakers represented at RAW were: Antadze Winery, Chveni Gvino (Our Wine), Jakeli Organic Vineyard, Soliko Tsaishvili, Khakha Berishvili's Winery, Lagvinari, Nikoladzeebis Marani, Shavnabada Monastery's Cellar, Tsikhelishvili Winery, Winery Nika. Among other natural projects presented at RAW by Georgia were breads, tea, and tkemali (a sauce made of cherry plums). Oenophiles tend to classify wines into either coming from the "old world" -- France, Spain, Italy and other European countries that have traditionally produced wine -- and the "new world," which includes upstarts such as the United States and Australia. Soon, though, we might need to come up with a new classification: the "ancient world," which would cover bottles coming from what's often described as wine's birthplace, Transcaucasia, a region that includes Georgia, Armenia, Azerbaijan and parts of Iran and Turkey. While history and archeological finds may back up the region's "birthplace of wine" claim, the quality of the wine produced there -- at least in decades past -- mostly made a mockery of it. That is beginning to change, though. Georgian wines have, in recent years, made great strides in quality and have started earning international attention and acclaim. Wines produced from indigenous grapes grown in vineyards in eastern Turkey have also started to show promise. 21.05.2011 (Hvino News) “Medal-winning red wine brilliance from where it all began - wild and beautiful Georgia ”- says the article on Tbilvino’s Saperavi 2010 in the catalogue of Laithwaites Wines UK, the world’s leading direct-to-home company. "Georgia's ancient wine relics include bejewelled golden goblets that testify to the importance of wine here as far back as 6000 BC. (And they're just the way to serve up this glorious Gold medal winner!) Saperavi has sumptuous spiced cherry fruit with a hint of creamy vanilla, thanks to skilful barrel ageing which wowed judges at Decanter and the International Wine & Spirit Competition alike. You'd be forgiven for mistaking it for good Saint Emilion, but rather than Merlot or Cabernet it's Saperavi. Little known beyond the former Soviet states, this ancient variety is said to be "at its distinctively plummy best for between four and thirty years" (Jancis Robinson MW)"
21.05.2012. The results of 4th Georgian National Wine Competition "Georgia - the cradle of wine" (see Best Georgian wines announced in Tbilisi) are discussed in the interview with Jemal Inaishvili, Co-Chairman of the Wine History Foundation, published in The FINANCIAL today. The Wine History Foundation with the support of Tbilisi City Hall, National Intellectual Property Centre (Sakpatenti), Chamber of Commerce and Industry, National Museum and Wine Club were joint organizers of the competition. The competition awarded 8 gold medal winners and 29 silver medal winners. According to the judges’ decision, out of 160 bottles of wine, the ‘grand prix’ was given to Alaverdi Traditions by Badagoni as the best white wine, and Kvareli Special Reserve produced by Kindzmarauli Corporation as the best red wine. 19.05.2012. Presentation of the book “The Best Georgian Wines And Spirits – 2012” was held today in Tbilisi. 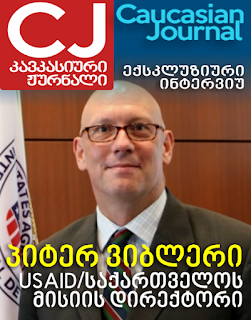 The publication is in Georgian, English and Russian languages. The descriptions of the famous drinks were prepared by Georgian wine experts Ana Godabrelidze, Giorgi Samanishvili and Levan Mekhuzia. The ceremony included tasting of drinks presented in the book, which are described as the best Georgian wines and alcoholic drinks, which are present on Georgian market now. 18.05.2012 (Hvino News) According to Russian business analyst interviewed by Georgian radio "Commersant", as Georgian wine has been out of Russian market for several years it became unknown to the young generation of consumers. Once Russian market opens the Georgian wine companies will need a heavy advertising campaign to get back the popularity of Georgian brands. "Commersant" asked Georgian winemakers for opinion, but most of the company representatives abstained from comments.According to insiders, the companies prefer to keep silent on the sensitive issue because of negotiations regarding the opening of Russian market, which are currently underway. 17.05.2012. Tbilvino, the largest Georgian wine exporter, reported 40% increase in sales in 2011. Export amounted to 95% of total sales. In 2012 the company plans to realize 3 million bottles of Georgian wine, twice bigger sales than in the period before the Russian embargo on Georgian products. The majority of Tbilvino wine products are sold in post Soviet countries, meanwhile Asian markets are giving new perspectives for expansion. In March 2012 Tbilvino won the Golden Brand 2011 award in the category of Favourite Georgian Wine Brand. In 2012 the company signed a partnership agreement with International Finance Corporation (IFC). Company will build the largest grape processing factory and increase sales. “We plan to sell 3 million bottles this year. As for new markets we are negotiating with several new companies in China, Korea and the USA. We will add new markets and try to enhance our share on traditional markets,” said Giorgi Margvelashvili, President of Tbilvino. About David: David is a features writer and essayist who has written for numerous titles including Esquire, the Evening Standard, Vertu Select, The Arbuturian, Foodepedia, and Fire and Knives. He writes a weekly blog for the Kensington and Chelsea magazine, The Notebook, and is a member of The Royal Geographical Society and The Guild of Beer Writers. He lives in London. 16.05.2012. Situated at the strategically important crossroads where Europe meets Asia, Georgia’s food is a reflection of where they sit politically and geographically on the map. It’s a tight amalgamation of what is home-grown and that which is inspired, collected and cherry-picked from its left-Mediterranean and right-Soviet neighbours. Wine is the country’s greatest ambassador with around 525 native grape varieties. Archeological excavations (the finding of pips and pollen grains in mud bricks) proved that wine was made – and of course, drunk – in South Caucasus, Georgia circa 6000 BC., making Georgia The Cradle of Wine. This puts a spring in the step of those involved in the Georgian wine scene and those whose job it is to produce and promote Georgian wine. With history on their side, they know that what they are producing is good; they’re just waiting for the rest of the world to catch up. 15.05.2012 (Hvino News) Georgian Wine Days were held in the capitals of Latvia and Lithuania to popularize Georgian products in Baltic countries. The promotion events in Riga and Vilnius were opened by Ia Janashia, Deputy Minister of Agriculture of Georgia. 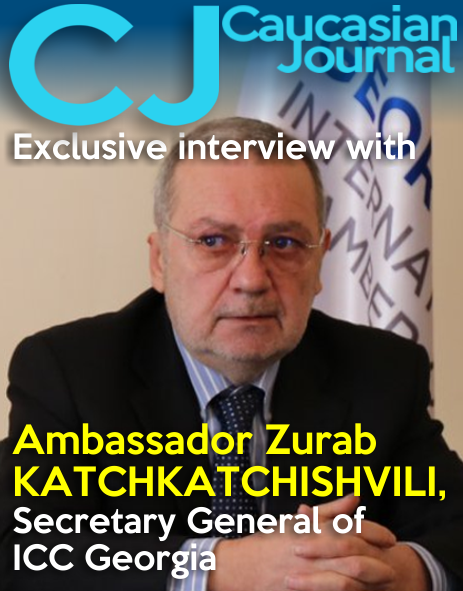 "Events of this type will allow Georgian companies to present their products to world markets and find new markets for exports. After the show and business meetings, we will be expecting concrete proposals from the distribution companies, "- she noted. Among wineries presented at Georgian Wine Days there were "Chateau Mukhrani," "Telavi Wine Cellar," "Winery Khareba", "Corporation Georgian Wine", "Teliani Valley", "Besini", "Kindzmaraulis Marani", "Sarajishvili". 15.05.2012 (Hvino News) The Rezidor Hotel Group, one of the fastest growing hotel companies worldwide and a member of the Carlson Rezidor Hotel Group, announces the Radisson Blu Resort, Tsinandali in Georgia. The property featuring 100 rooms is scheduled to welcome the first guests in 2014. 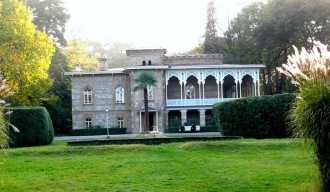 Tsinandali lies in the province of Kakheti, one of the most popular tourism regions of Georgia; east of the capital city Tbilisi and bordered by the Greater Caucasus Mountains to the North. See also: Georgia is reconstructing ancient wine distillery - with Radisson hotel and wine museum. "We are delighted to add a rare vintage to our growing collection of contemporary resorts", said Kurt Ritter, President & CEO of Rezidor. The Radisson Blu Resort, Tsinandali is being developed in the heart of Georgia"s ancient viniculture region. The hotel, surrounded by 19th century vineyards and botanical gardens, is of historical significance. 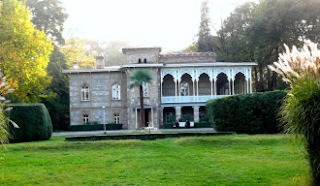 The Tsinandali estate includes two museums, one to the aristocratic poet Prince Alexander Chavchavdze, who built the winery in the first half of the 19th century, and the second to the rich variety of Georgian wine and gastronomy. The Tsinandali estate has seen a colourful selection of guests in its past, including poets and writers such as Dumas and Pushkin. The property is regionally very well known as a notable venue for cultural and corporate events, conferences and weddings. "We are happy that Rezidor partners with us to build an exclusive spa resort in Tsinandali. We will offer visitors a luxury experience of Georgia"s stunning nature, generous hospitality and its rich heritage of winemaking", said George Ramishvili, Chairman of the Silk Road Group that develops the Radisson Blu Resort, Tsinandali and the Tsinandali Estate. Western Europe is widely regarded as the centre of the wine universe but none of the nations there are actually its spiritual home. For that, you’d have to travel east to the other side of the Mediterranean, an area few people are likely to associate with wine these days. Georgia, of all places, is one of the oldest wine-producing regions in the world, with evidence of viticulture taking place in the South Caucasus dating back to the time between 9,000 and 7,000 years BC. Not much Georgian wine has traditionally made its way to the UK shores but this is changing now that merchants are seeking out new discoveries to offer customers who want something a little out of the ordinary. While the options aren’t quite as wide-ranging as those from the big wine markets, there are enough bottles available in the UK to satisfy anyone’s curiosity. 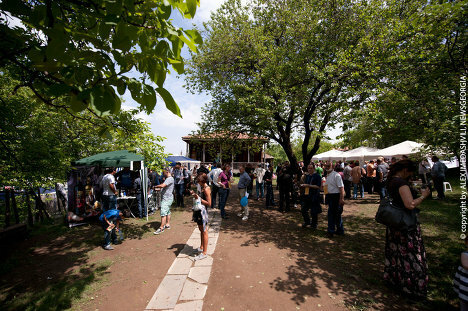 12.05.2012 (Hvino News) Thousands of visitors came to the Ethnographic Museum in Tbilisi, where the open-air Festival of young wine opened in the morning. Local people, experts, professionals as well as foreign tourists tasted the wine presented by major manufacturers and individuals who produce wine at home. Home-made wine was selected by a special jury of Wine Club of Georgia. Wine Club and Municipality of Tbilisi are organizers of the festival. Widest choice of wines attracted many visitors, who tasted Rkatsiteli, Saperavi, Tsitska, Tsolikouri, Odzhaleshi and many other varieties. Big buzz is going on around "Kvevri" - the clay jars buried in the ground, in which the wine ferments. The process of opening "Kvevri" - removal of clay from the jar lid, which is tightly closed during the period of fermentation, bottling wine, and finally, the process of tasting - left nobody indifferent. Tourists from France enthusiastically shared impressions with reporters. "In our country there is an ancient tradition of winemaking, but "Kvevri" is a real miracle, wine from it gets a matchless taste. Should we adopt this method of wimemaking?" This year's festival is the third in a row. The first wine festival in Tbilisi took place in May 2010. Visit to the Republic of Georgia - My Final Report . . . I didn’t know much of Georgia and its wine industry. But I had heard/read that Georgia (and other parts of the Caucasus) is considered to be the oldest wine-producing region of the world. I had also heard that the country has more than 500 indigenous grape varieties. Psychologically, this is already a great advantage for Georgian producers to market their wines. Both reasons intrigued me to go on the trip in the first place and it can certainly also seduce many other people to try Georgian wines and visit the country. These facts can also be the base for any future efforts to market Georgian wines in the United States. The 2006 boycott on Georgian wines declared by Russia certainly had a huge impact on the entire industry. For the most part (despite the financial hurdle the Georgian had to endure), the changes that the entire industry had to go through were good. There are several wineries today producing both conventional and qvevri wines of high quality and, as I heard from people with far more Georgian wine knowledge than I do, this was not the case during the years where Russia was the biggest importer of Georgian wines (and quantity was a priority over quality). 10.05.2012. The Georgian President's new initiative on handing over Georgian wines to tourists at Tbilisi International Airport (details here) has turned out unexpected for Georgian winemakers. At this stage, Georgian winemakers abstain from making comments and are waiting for next steps of the Georgian Agriculture Minister. We welcome the government's intention to promote the popularization of the Georgian wine and winemaking, but the initiative should be formed efficiently, entrepreneurs noted. Georgian winemakers hope the government will offer more concrete mechanisms to implement this initiative in reality. 10.05.2012 (Hvino News) Winners of 4th Georgian National Wine Competition "Georgia - the cradle of wine" received prizes at closing ceremony in Georgian National Museum on May 10. 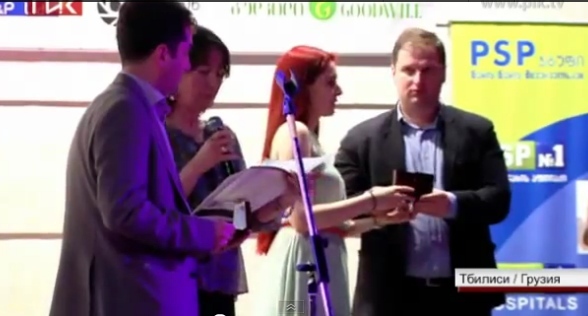 Grand Prix of National Wine Competition were awarded to companies Badagoni and Kindzmarauli. Red dry wine "KVARELI SPECIAL RESERVE" of Kindzmarauli Corporation Winery was chosen as "BEST RED WINE 2012". For full information on winners and more details, click here. Total of 8 gold medals and 29 silver medals found their winners in different nominations of this prestigious national competition, organized by Wine History Foundation with support of Tbilisi City Hall, National Intellectual Property Center of Georgia “Sakpatenti”, Georgian Chamber of Commerce and Industry, Georgian National Museum and “Wine Club Marani”. The wines were judged by international jury: chairman - Ana Godabrelidze (Georgia), Natasha Hughes (Great Britain), John Salvi (Great Britain), Wojciech Bosak (Poland), Alex Biesler (Germany) and Giorgi Samanishvili (Georgia). 09.05.2012 (Hvino News). President of Georgia proposes to create a vineyard in close proximity to Tbilisi International Airport. 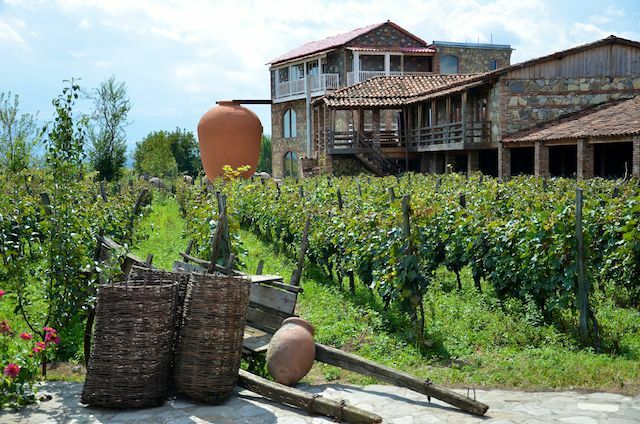 According to president Mikheil Saakashvili "Georgians often say that Georgia is the birthplace of wine, but not all visitors coming into the country can see that". "I ask the municipality to allocate a big land plot next to the airport, where we create a large vineyard, so that the first thing a guest sees when he arrives is a vineyard. We will give all the guests a small bottle of wine, so they take it back home as a souvenir. We must teach children how to make wine in Georgia. There should not be left a single piece of uncultivated land, where a vineyard could be made. I am really fascinated by wine-making. This is part of our national ideology "- the president said in Tbilisi. In 2011 president Mikheil Saakashvili bought a vineyard in Kakheti region, Eastern Georgia. The vineyard ​(half hectare area) costed about 20,000 USD. Construction of a private house next to vineyard costed about 28,000 USD. The president often uses his vineyard house to host foreign visitors. 07.05.2012. The 4th Georgian National Wine Competition will be held in Tbilisi on 9-10 May. The competition is organized by Wine History Foundation with the support of Tbilisi City Hall, National Intellectual Property Center of Georgia “Sakpatenti”, Georgian Chamber of Commerce and Industry, Georgian National Museum and “Wine Club Marani”. Numerous nominations of Georgian wines will be judged by the panel of Georgian and international judges. Members of the Jury: chairman - Ana Godabrelidze (Georgia), Natasha Hughes (Great Britain), John Salvi (Great Britain), Wojciech Bosak (Poland), Alex Biesler (Germany) and Giorgi Samanishvili (Georgia). Up to 30 best Georgian wine producer companies are participating in the competition. The winners will be awarded with grand prix, golden and silver medals and diplomas. Award ceremony of the winners will be held on May 10th, 2012 at the Georgian National Museum. 07.05.2012 (Hvino News) Brandy producer "Sarajishvili" won gold medal - International Review of Spirits Award - at annual international competition of Beverage Testing Institute in Chicago. 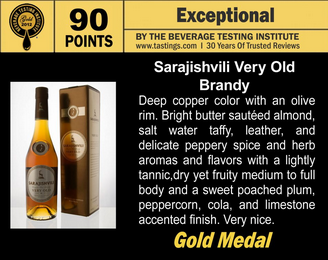 This year "Sarajishvili" introduced Sarajishvili Very Old Brandy (VO), which received gold medal with a 90 points rating ("exceptional" rating). Last year the company won a gold for its XO and a bronze for VSOP brandies. "This award is yet another sign of recognition of our brand Sarajishvili. This contest is one of the most prestigious competitions of alcoholic beverages, so this is an important victory for us"- said company representative. The Beverage Testing Institute (BTI) is a marketing service company that provides reviews for spirits, wines, and beers. The judging ratings range from 96 to 100. BTI uses a tasting lab in Chicago. Retail price of Sarajishvili Very Old Brandy in USA is $35. 06.05.2012 (Hvino News). Georgian winemakers participated in the 8th Shanghai International Wine & Spirits Exhibition, which closed yesterday in Shanghai, China. 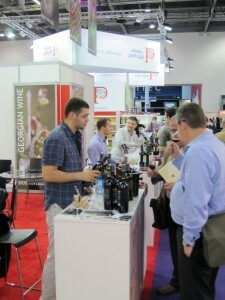 Several wine companies from Georgia attended this Asia's leading wine fair, including Bagrationi 1882, Tbilvino, Teliani Valley, Tiflis Wine Cellar, Tiflisi Marani, Dugladze Wine Company / Gomi, Wine Man Ltd, Winery Khareba. Among participants of Shanghai Exhibition was also specialized "Georgian Wine (China) Promotion Center". China is one of priority export markets for Georgian wine, according to recent statement of Georgian Agriculture Ministry (details). 04.05.12. 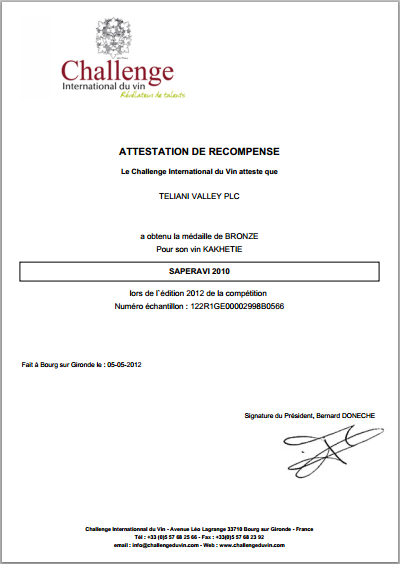 Teliani Valley has contributed to international recognition of Georgian wine: its Saperavi wine made from the 2010 harvest won the bronze medal at the "Challenge International du Vin" in France. Click here to view certificate. The Challenge International du Vin has been held for the past 36 years and is France's most famous wine competition. 4,700 wines from around 30 countries take part in the Challenge and are judged "blind" by the world's leading wine tasters. This competition's evaluation is extremely prestigious and equates to international recognition. 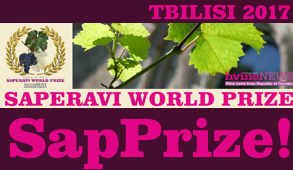 Chateau Telavi to present new "Cabernet Rosé"
At Tbilisi New Wine Fest on 12th of May "Chateau Telavi" will present its new wine "Cabernet Rosé", produced at its own vineyard - Napareuli micro zone. The winemakers hope that the new product will win sympathy among wine experts and public. 02.05.12. An English-language online news portal covering wine produced in the country of Georgia was launched yesterday (1 May). 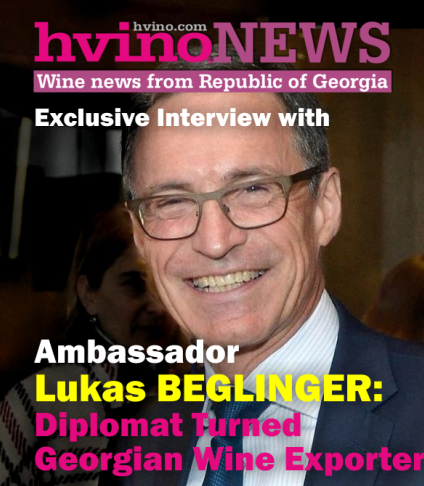 Hvino News will create a single source of information on the Georgian wine industry in English, the website said. Access is free, with the site offering assistance in preparing and editing material. Hvino is the Georgian word for wine. Georgian winemakers have been under pressure since 2006, when their biggest export customer, Russia, banned Georgian agricultural produce. In May last year, the country signed a deal with the EU to recognise each other’s protected geographical indications for wines and spirits. Georgia's protected names include Akhasheni, Gurjaani, Manavi and Tsinandali. 03.05.2012. In neighboring Armenia, "Golden Grape Armas Company" with support of Italian capital continues construction of wine-brandy factory in Aragatsotn region, despite delays caused by storm. The outer construction work of factory are completed, currently the inner construction works are underway. The company applied to Armenian Government asking to extend the deferment of value-added tax for imported goods until February 1, 2013. 02.05.2012 (Hvino News). Wine Club will hold Wine Festival in Tbilisi Ethnographic Museum on May 12. All large and small wine companies will take part in the festival. Home wines will be also presented from different regions of Georgia. According to the Wine Club, large companies, small maranis and families will present wines of various grape varieties. The Wine Festival was held in Georgia in 2010 for the first time and hosted thousands of tourists and wine experts. 02.05.12 (Hvino News). Date of return of Georgian wine to Russian market is still unknown. Giorgi Margvelashvili, head of "Tbilvino" - one of the largest wine companies - says there is no progress, and active negotiations have not been launched yet. He notes that distributors from Russia contact the company from time to time and express will to cooperate, but there is no concrete result. “Borjomi” (mineral water) also attempts to return to Russian market. Unlike wine and “Borjomi”, Georgian lemonade is already sold in Russia. (Hvino News) Georgia will reconstruct the oldest wine distillery at Alexander Chavchavadze’s house in Tsinandali, Kakheti, in Georgia’s main wine-making region. Alexander Chavchavadze was Georgian classical poet and translator. Restoration of distillery was developed by US architect John Fotiadis and approved by the Georgian Culture Ministry and Department for Protection of Cultural Heritage. The distillery, cellars, reception halls, administrative rooms will be fully reconstructed. The museum will have a hotel of Radisson Hotel Network with 100 rooms and a roof swimming pool. A 15-meter long underground corridor connecting the hotel with a winery will be built. About $20 million was invested in the project. The territory includes a park with a chapel where Russian poet and diplomat Alexander Griboyedov married Nina Chavchavadze, daughter of Alexander Chavchavadze. It also has vineyard, wine distillery and a wine collection. The museum has a unique library. Alexander Chavchavadze built wine cellars in 1886 and started his own wine production, building the first Georgian wine distillery. The distillery has been operating ever since. The cellars hold over 16,000 bottles of wine produced in the late 19th – early 20th centuries. Tourists are welcome to visit the place after opening in autumn. 01.05.2012 (Hvino News). Medals were awarded to two Georgian companies at Wine & Delicacies Trade Fair in Prague. The prizes were awarded to 2007's "Chelti" Saperavi and 2008's "Khareba" (download full list of winners in PDF here). This large wine fair in Prague was attended by eight Georgian wine companies - "Tbilvino", "Sarajishvili", "Shumi", "Bagrationi", "Chelti", "Khareba", "Wine Man" and "Besini". Georgian delegation was headed by Deputy Minister of Agriculture Ia Janashia . According to her, Georgian wines were generally met very positively by experts and visitors.